Here is a 4 pc. 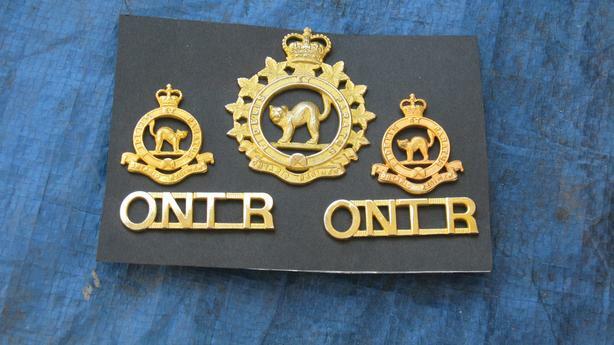 set of a military cap badge, collar dogs, and shoulder titles. These are from the Ontario Regiment, (Royal Canadian Armoured Corp) located in Southern Ontario. Anodized brass.